Have you ever made a huge New Year’s Resolution, and then crashed and burned because the challenge was too overwhelming? I’m all for dreaming big, but if your method for reaching your goals isn’t realistic, you’re just setting yourself up for failure and disappointment. But what would happen if you simply committed to getting 1% better every day? Whether it be in your personal development, training, or relationships, small consistent improvements are what bring lasting results. Change isn’t typically an overnight 360-degree pivot, it’s learning and incorporating new behaviors, habits, and mindsets over time. If there’s anyone on the planet that knows what it takes to put in that effort day-after-day, it’s one of my heroes—Ozzie Smith. Ozzie is a Hall of Fame MLB baseball player who is known as one of the greatest defensive shortstops of all time. Not only has he won countless awards and redefined his position, but he is also a stand-up human being and an incredible example of what it means to set yourself up for success. On today’s show, Ozzie is sharing the details of his storied and illustrious career with the San Diego Padres and St. Louis Cardinals. When you hear his story, I know you’ll be inspired by his accomplishments, outlook, and humility. This episode is not only an opportunity to get to know more about a living legend, but you’ll also walk away with inspiration on giving 100% effort, making a difference, and how to truly strive for greatness. Why hard work and effort lead to results. The importance of continuing to improve, even incrementally. How surrounding yourself with positive individuals can change your thoughts. The importance of protecting your energy. How your subconscious can easily become distracted. What it truly means to be great, and how to measure success. Why even small interactions can make a huge impact on the people you encounter. What it means to be a one-dimensional player, and how it has changed generationally. How weight training changed Ozzie’s health and prolonged his career. The role that nutrition plays in recovery, performance, and life in general. What Ozzie defines as his greatest accomplishment in baseball. The story behind Ozzie’s iconic 1985 home-run. How giving back and strengthening your community can create change. What the greatest asset in the world is. Listen, I'm absolutely elated about my guest today, but I'm also elated about my recent experiences with being a dad and technology. All right, let me tell you a little- little secret here. My son Braden's six years old. Alright? Just got his first tablet. Tablets are popping with the kids and I don't know if you guys are aware of this, but like he's in kindergarten and kids in his kindergarten class already have cell phones. I just don't think it's necessary personally, but I'm not here to judge, alright? And of course like, you know, you'd be walking around the stores, department stores, grocery stores and seeing kids, two years old in their diaper, you know? One and a half just glued to their tablet or to the phones, you know, as a distraction. And again, not here to judge, but I've been seeing this as a part of our culture and we don't really know the long-term ramifications, but you know, I just felt that six years old, okay it’s time, let's go ahead and get him this tablet. And it's a very like kid friendly version of the tablet. Okay? So it's got the kid's stuff, kid’s books on it, kid’s games, all that good stuff. And I'm like, “Uh, no, not- no, I haven't.” Cut to come back from the studio later, and my son on his little kid’s tablet, he done went to Amazon, bought all toys, alright? He's six. Just the level of intelligence though, to put stuff in that shopping cart. He went shopping. He was just sitting there shopping. “I like this, I like that. I'll have two of those.” He got himself a Golden Ninja. Alright? The little Golden Ninja Lego piece. $12 for this one little Lego, alright? But he didn't really have the concept of like, “I'm spending money,” you know? But just the access. First he downloaded the app, you know? So just being aware and having these experiences of just how pervasive, and even kind of intuitive technology is today is really kind of fascinating at the same time. So I was pleasantly surprised he was able to shop like that, but also a little mad of course. Like, “Bro, how did you-“ you know. So we talked about the concept of money, you know, of course he apologized. He didn't really know what he's doing. But we were just hanging around a random afternoon, ‘bing bong.’ Doorbell rings and it's the Amazon delivery guy. All right? Today, if somebody rings your doorbell in the middle of the afternoon, “You know who this is?” You know, nobody wants to even get up. All right, so anyways, got the packages, we’re not telling him that it's his toys, the order. We just kind of like, you know, we send them back and that's what we're doing. So just wanted to share that story with you guys. I don't know how you are with the tablets, but be aware with your kids. They can buy the farm. They could probably buy some stocks, I don't know, but just be aware of that. So anyways, I'm very, again, very, very excited about this episode of the show and we would not be doing this without our incredible support for the show and my friends over at Onnit. They’re family. One of the things that I use every single day I had today, the MCT oil, the emulsified MCT oil. Let me tell you a little bit about it. Thermogenic effect and has ability to positively alter your metabolism; clinically proven. MCTs are absorbed more easily and have to do less work for your body to actually break them down into smaller carbon bonds. And so basically if you're eating like, you know, a piece of fish, your body has to do a lot of work to convert that into energy, whereas MCTs are smaller and they're able to permeate your cell membranes and become essentially instant energy in many ways. Also, they're very supportive of your gut microbiome in their ability to combat harmful bacteria, viruses, fungi, fungi and parasites as well. So this is one of the things that I use literally every day from Onnit. They have the vanilla, which is my wife's favorite. I love the cinnamon swirl. Strawberry emulsified MCT oil is amazing and like some almond milk, you should definitely try that. I just put some in my sons. He had a little bit of a granola today, so I'll mix that in there, again, some healthy fats. Journal of Ethno Pharmacology found that cordyceps supplementation, which is the main ingredient in the Shroom Tech Sport, cordyceps mushroom supplementation with or without exercise improves exercise endurance by activating the skeletal muscles, metabolic regulators, and a coordinated antioxidant response. So again, cordyceps is helping people with their athletic capacity, their endurance capacity, with or without exercise. It's a cheat code, right? It's crazy. Legal cheat code. Alright, it's been used for thousands of years and now we have it in intelligently formulated products from Onnit who does things the right way. They did a twelve-week clinical trial performance, Florida State University on college age folks, and here's what they found utilizing cordyceps. Number one, using cordyceps was shown to increase bench press reps by 12%. Shown to increase combined bench press reps and back squat reps, if you're doing supersets, by 7%. 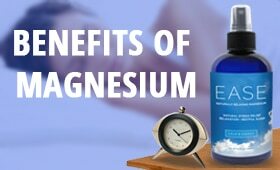 And also shown to increase cardio performance by 8.8%. There it is. That’s a mic drop. Make sure you’re utilizing Shroom Tech Sport. Head over to www.Onnit.com/model. You get 10% off everything. All right? That's www.Onnit.com/model for 10% off. Now let’s get to the iTunes review of the week. ITunes Review: Another five-star review titled ‘Fantastic,’ by StarBLover. “So Shawn, you have a new fan and it's me. I love your style and delivery, but the content is over the top in every way. Thank you for the hours of research and commitment you obviously have made to giving life to your listeners. The words we speak are life and death and I know that what I'm learning from you is all about life and having it more abundantly. Thank you. Everybody, please head over to iTunes and leave a review for the show if you've yet to do so. If you're watching on YouTube, go ahead and leave a comment below. We appreciate that so much. And on that note, let's get to our special guest and topic of the day. Our guest today is the one and only Ozzie Smith. Ozzie combined athletic ability with acrobatic skill to become one of the greatest defensive shortstops of all time. The thirteen-time Gold Glove Award winner redefined the position in his nearly two decades of work beginning with the San Diego Padres, and playing the majority of his career here with the St. Louis Cardinals. Known as the Wizard of Oz, he played nineteen seasons, acquired thirteen Gold Glove Awards as the best defensive player at his position. Compiled 2,460 hits, 580 swipers stolen bases, named to fifteen All Star teams, set the Major League record for his position for most assists, most double plays, most total chances accepted, most years with 500 or more assists, and most years leading the league in assists and chances accepted, and also Baseball Hall of Fame inductee. 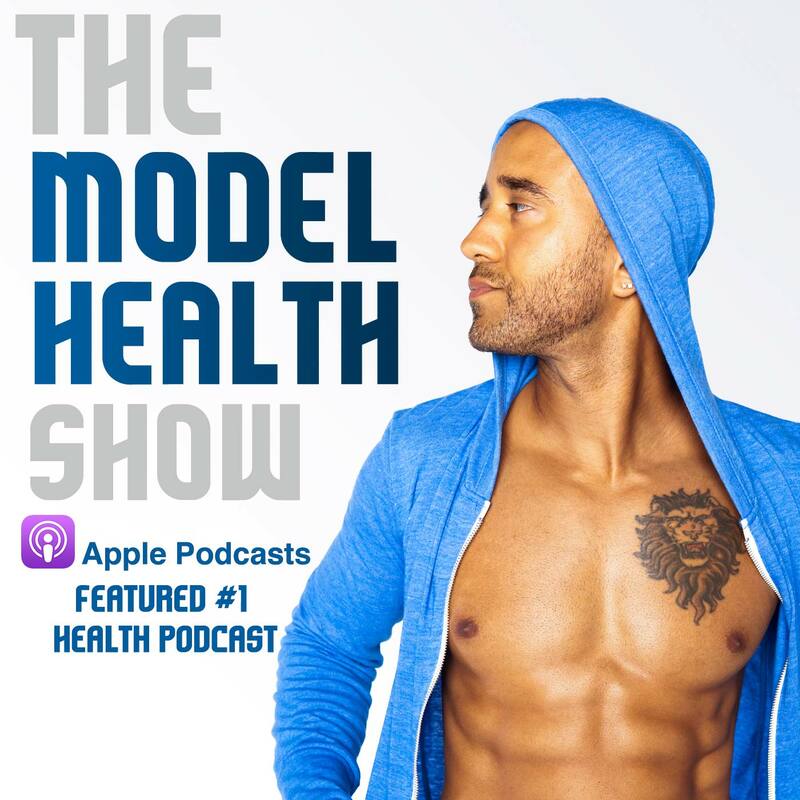 And he's here today on The Model Health Show, I’d like to welcome Ozzie Smith. How are you doing today? Ozzie Smith: Alright, Shawn. How are you doing? Shawn Stevenson: I'm very, very grateful to have you on. Ozzie Smith: Great to be here. We talked about this maybe three, four months ago, and being able to finally get this done, and now here we are. Shawn Stevenson: Yeah, very, very- I see you at the gym all the time. Ozzie Smith: Hey man, you’ve got to. I'm a baby boomer, so I'm going down fighting. Shawn Stevenson: Everybody, I don't know if you really know this because it's just who you are, but people just light up when you're around, you know? When we were walking through the gym together, I just saw people, just like light bulbs turning on when you walk by. Ozzie Smith: It's nice, man. It's nice to be able to- it’s a blessing really to be able to walk into a room like that and have people feel that way about you. And especially in the times that we're living in, and stuff, and all that I’ve ever tried to do was just do what's right, you know? I try and keep myself clean and try to live right. I don't always accomplish it, I do eat junk periodically, but I also work hard too. So, I owe to myself. Shawn Stevenson: Absolutely man, if anybody does. So let's- actually I want to talk about your superhero origin story, alright? Because you, again, you redefined the position, you redefined baseball, really. Like I remember being a kid and coming to the game just to see you play defense. Nobody says that, like it's all about the homeruns. But I want to know- so first of all, where did you grow up and when did you first pick up a baseball? Ozzie Smith: Okay. I grew up in- I was born in Mobile, Alabama, December 26, 1954. I moved to LA when I was six years old, so most of my growing up was done in southern California. I grew up in the south central side of California, which is known as Watt's. I was there during the riots, can remember sleeping on the floor, National Guard setting up across the street, and wondering at that time whether or not we would even live. And with that being said, you know, when you talk about parents and stuff, I think my parents and I grew up basically in a single parent home. My mom raised us most, she was there all the time and we never knew that we didn't have, you know, which was an amazing thing. We always talk about African American women knowing how to stretch a penny. Yeah we were poor, but we didn't know we were poor. All we knew was that- or all we were taught was that you got to believe that if you work hard, you put in your blood, your sweat and your tears, then you'll get out of what you're working at, and you're only going to get out of something what you put in, and if you don't put anything in it, you shouldn't expect anything in return. And that's the model with which we all lived and we were taught, and I was fortunate enough to have people in my life to preach the same message. It was a generation of from generation to generation. You know, the older people in our lives told us the same story of the same story we heard over and over again. So making it in life was all up to you. You know, how hard you were willing to work and whether or not you were willing to put in the time and the effort. And in believing that, I worked hard at everything that I did in my life, even to this day. You know, if I'm going to lift weights, then I'm going to try and be the best weightlifter I can be, and that's just the way I was taught, and I feel very fortunate that I had people that preached that same message. Shawn Stevenson: I love that so much. I love the statement, I've said this many times, how you do anything is how you do everything and it's like a culture you create in your own mind about how you approach things. You're definitely somebody who's approached things with a sense of giving your best and an excellence. So, baseball, where did that come around? Ozzie Smith: Well you know, when I was in high school I had to do some soul searching because basketball is really what I excelled in in high school, believe it or not. And when I decided to go to college, I had to do some soul searching, and I realized that baseball was really what I love doing more than anything else. Now I never got drafted out of high school. I played high school baseball with a guy by the name of Eddie Murray who's one of the greatest switch hitter power hitting switch hitters in baseball history. He followed me into the Hall of Fame in 2003. We both played baseball and basketball and I tell people all the time, I made him what he is. But we had a great time growing up, but my first beginnings as far as baseball, I can remember my uncle, we had a pecan tree in the backyard where we used to live and he had this plastic bat that we used to throw up there and knocked the pecans out of the tree. And then he would take the- I would take the plastic bat and he’d throw pecans to me and let me hit the pecans. And that was really kind of the beginning of any type of coordinated sport that I can remember. And then when I decided to go to college, as I said, I went on a partial academic scholarship, didn't get a baseball scholarship, never got drafted out of high school, which was a little disappointing, but I think that had a lot to do with my size and stuff. But as I talked about earlier, my mom always told me that it's not your stature, it’s how big your heart is, you know, how hard you're willing to work. And I was never afraid to put in the work. And I knew that if I put in the work as they had taught me, that eventually I would get an opportunity. And that opportunity didn't really present itself until I was at a point in time in my life where I was ready to go home. I was four hours away from home. I went to a little small school in Central California called Cal Poly at San Luis Obispo, which is up the central coast near Santa Barbara. Beautiful. And all of the California state system schools are sat down the mountain, so it was beautiful college town. And I stayed, and two days later, the shortstop on the Varsity team got hurt and that window of opportunity opened, and I stepped in through that window of opportunity. And from that day in college, I never looked back. And it wasn't until 1975 where I was- I went to- after our season was over, they looked for places to send kids who they feel have an opportunity to make it or want to try and pursue a professional career. I went to a little small town in Iowa called Clarinda, southwest corner of Iowa near Omaha. And it was there that I guess the scout finally started to take a look at what I could do. But I was the only black kid on the team, first time ever going to a place like this in the Midwest, an all-white town where you live with the people in the town and stuff, so this was a totally new experience for me. But here again, fortunately I was with a group of people who didn't see my color, they saw me as a player and as a person. And that family was Mr. and Mrs. Aberly. And she's like my mom, my second mom, to this day, because they took me in and allowed me the freedom to do what it was that I wanted to do. And 1975, 1976, I go back my second year and I get drafted by the Detroit Tigers. Now I've finished three years of my schooling. I had promised my mom I was going to get an education, and they drafted me in the eighth round. And they drafted me the same year they drafted Alan Trammell and Lou Whitaker and they offered me $8,500. So I said, if they don't give me $10,000, they’re not going to take a real good look at me. So I went back and I asked him for the other $1,500 and they said they didn't have it in the budget. So I rolled the dice and I went back to school in hopes of getting drafted again my senior year, which I did by the San Diego Padres. And being a good businessman that I am, I signed for $5,000 and a bus ticket to Walla Walla, Washington, where I started my professional career. Shawn Stevenson: That’s too funny. That's amazing. Wow. Ozzie Smith: And I tell kids all the time that when you look at guys who are making big money today, all of us were not bonus babies because I certainly was not one of those guys. Shawn Stevenson: Yeah. Wow. Wow. That's- you took that gamble, but it did pay it pay off ultimately, but in the smallest perspective you actually lost a little bit of money doing the right thing. Ozzie Smith: That's right. So it's not always about ending up on top from a financial standpoint, you know, sometimes you got to take step back, take two or three steps forward. Shawn Stevenson: I love that. So much. So, okay. So you get drafted with the Padres. So what initially- coming out, being drafted, what did you want to accomplish? Just getting into the sport again? Ozzie Smith: Well first of all, getting the opportunity to play professionally was really my goal. I just wanted to know in my own mind, I believe that in my mind that I could play professionally, and it was really about getting that opportunity, and being ready when that opportunity presented itself as the people- being ready when that window of opportunity opened, because that window of opportunity may be very small. But when it did present itself, I was ready to step through it because I had worked and prepared myself for it. And it made the rest of it easy, you know? If you're not afraid to do the work, you're not afraid to put in the blood, the sweat and the tears, then good things will happen. And so I just continued to work the way that I had worked, and I was blessed with hand and eye coordination. And I realized that, when I decided to go to college, that that's where my assets were, and I wanted to maintain that for as long as I could, you know? So I knew that the only way for me to maintain that, was to continue to work hard and approach it the same way that I'd approached it. And especially at home. You can be surprised on the road or whatever, but if there's a bad spot on my field at home, then I should know about that. And that's one of the edges that you try and- you work for finding edges all over the place. And if there's a bad spot on the field then I need to know about that because he may not, and that may be the thing that determines whether you win or lose. Shawn Stevenson: Wow that’s so deep and it made me think of my surprise at home with my son with the tablet. Ozzie Smith: The tablet. It’s amazing, technology today. Shawn Stevenson: It’s bananas. He's sitting up there just living the life ordering toys. So one of your San Diego teammates said in an interview that, you know, you can get buried by the other team in the game and a lot of negative things can happen while you're out there. But you would say focus on the one positive thing that happened during the game and take that with you. Why was this your approach? Ozzie Smith: Well, I mean here again, every day or every year was different. If my numbers were a little better this year, one point better than it was last year, I had a better year, you know? So it was always about reaching up, not knowing exactly where you're going. You just didn't want to go the other way. You know? So I was always trying to make this year better than the last, and with that mindset, you'll always keep yourself in a position hopefully to have a chance to win. And if we didn't win, I didn't want it to be because of my lack of preparation or my lack of knowledge of what I was trying to achieve. Shawn Stevenson: You know what? When I heard this statement, I really thought about this in the context of life as well. Shawn Stevenson: You know? Just like what's that- because a lot of messed up things can happen, but find that little piece of positivity in that surface, you know? Ozzie Smith: That positive thing, you know, when you try and surround yourself with people, with those same positive attitudes and thoughts. And you know, you talked about a minute ago. I had a friend of mine who was a doctor. I haven’t seen him in a few years, but we talked about energy. I’ll give you an example. I used to go to the ballpark early in the afternoon, 1:30, 2:00 in the afternoon, and we all have mailboxes where fans send mail. Well my mail box was always a bigger one, you know, it was the biggest mailbox because I had a lot of mail. And so I used to go and sit and read my mail before I went out on the field. Well, when I got to the ballpark at 1:30, 2:00 in the afternoon, man it was a great move, man. I had energy, had my Hamburger Helper, you know? My Hamburger Helper and toast and stuff for lunch. And come game time, man, I felt my energy drained. I felt like, “Golly, what in the world is this?” And I finally realized that what happens if you're not careful, because people like being around you, it drains your positive energy. You have to be very, very careful because I would get letters from people who had less on. But if you're a caring person, if you get a letter from a person in prison, get a letter from a lady whose gas and lights are being turned off; if you're caring person, it touches you in some way in the end and it drains your energy. So I had to get to a point to where I had to stop reading mail before I went out and performed because by the time I got out there some nights, it was just- I had nothing. I had nothing because you're thinking about all of the other things that subconsciously- in the subconscious mind is where everything happens. Ozzie Smith: And I had to figure that out myself. Shawn Stevenson: Wow. The Hamburger Helper didn't have nothing on those letters. Ozzie Smith: No, man. Hamburger Helper had nothing. You know, baseball players or athletes, we’re very superstitious, you know? Shawn Stevenson: Was it the cheeseburger macaroni? Shawn Stevenson: Or was it the stroganoff? Ozzie Smith: It was cheeseburger macaroni. Shawn Stevenson: Okay. So you know- and just even shout-out to snail mail, you know? Back in the day. But that's such a profound insight, you know, to be able to have. And you know, I totally agree. And I think that's one of the things that, you know, that I first noticed about you is that like, people pick that up, that you care. Like you see people. Shawn Stevenson: You know? Like nobody is invisible around you, you know? And that makes people feel good. Ozzie Smith: Well you know, here again, it's all about making- and especially in a town like this, you know? This is such an avid baseball town that people feel like they know you. And for me, if it's going to be the only opportunity that they have to meet me, and I'm still amazed to this day, and I've been here since 1982, there are people in this town that have never seen me in person. And I'm saying to myself, “I've been here almost a hundred years, and I've seen and signed something for everybody.” But it's never ending. It's never ending. Shawn Stevenson: Yes. And you know, there's many stories of our heroes not living up to that ideal, you know? And I think that's even- there's a lot of people listening that are heroes for other people, and I want them to really embrace that and how much it matters for you to walk the talk and show up in other people's lives because, you know, it could really make the difference for somebody. And also I want to point to in St. Louis, literally it's like a holiday, Opening Day. Ozzie Smith: Oh yeah, it’s crazy. Shawn Stevenson: And so people, like they'll close jobs down, you know, it's like a big deal. Ozzie Smith: No, the city closes down, it’s crazy. Shawn Stevenson: In a big part, like I think that you were a catalyst for that, you know? That Opening Day, you come out, you hit the back flip. My goodness. So where did that whole idea come from? Ozzie Smith: Well, when I started in 19- in my rookie year in 1978 with the Padres, after we finished working out, we had to run two miles, man. And I don't know about you, but long distances wasn’t my thing, you know? I was a little sprinter and, you know, I could run the sixty-yard dash, which we're tested in, in baseball, or the forty-yard dash in football, but long distances wasn't my thing. So we're running these two miles and I'm near the back of the pack. And so these old guys I'm playing with - Gaylord Perry, Dave Winfield, Gene Tenace - they all gave me a hard time about being the young guy and being in the back of the pack. So to show them that I wasn't tired, I did a round off back flip, and this is when I had hops, you know? I had hops as I told you, I played basketball, you know? So I had hops, and I did it, and my teammate Gene had girls that were into gymnastics, and he wanted them to see me do that at some point in time during the season, which we weren't able to do. So the final day of the season, which was Fan Appreciation Day, he and the PR guy thought it would be a good idea for me to do it going out to my position. I was a little reluctant because back in the day, the entertainment was the Chicken in San Diego. It was the San Diego Chicken. And I mean this dude was entertaining and I certainly didn't want to go up against the Chicken as far as entertainment and stuff is concerned. But I reluctantly did it, and people liked it so much that they asked me to do it Opening Day the following year, and lo and behold, a trademark was born. Shawn Stevenson: Yeah, definitely. Definitely. It's really, really a special thing. Ozzie Smith: Yeah. Well you know, it signified the beginning of the baseball season, you know? That was a sign that the season is here, and we're on the way. Shawn Stevenson: The boys of summer. Ozzie Smith: The boys of summer are here, and you know, you can turn on ESPN now sometimes and see that highlight. And it's nice to have something like that just to remind people of what you did. But I still have to remind people that I played baseball too. I didn't want to become known simply for the flip. It was a good moniker, and all of that, but you know, I was very proud of my baseball acumen as well. Shawn Stevenson: Yeah. And that's exactly what I was going to talk to you about now is- you know, that was just a part of your athleticism, and you redefined the position of shortstop. Ozzie Smith: Well let me say this here, Shawn. I think that the guys that make the Hall of Fame in whatever sport it is, I think that those guys changed the way we look at the sport itself. Ozzie Smith: That to me is what defines a Hall of Famer, because there are a lot more average than there are great. And the great- or the people that we consider eligible or deserve to be in the Hall of Fame. So you know, when we have these questions about guys, and then this comes up a lot about whether or not a guy is a Hall of Famer, I think that when your playing career is over, it's either you are or you aren't, and there shouldn't be a whole lot of question because the guys that change the way we look at the sport have separated themselves from the rest of the bunch. And baseball has always had this question because we have these committees that you're on the ballot and you have to get a certain amount of votes each year to stay on the ballot. Well, when you fall below that number, your name comes off the ballot. So there are now special committees that are put together to see whether or not the sports writers missed it. So it makes you think about whether or not a guy is a Hall of Famer. In my opinion, and I'm not saying this because I made it on the first ballot, if I didn't make it on the first ballot, I mean anytime you get into the Hall of Fame, you accept it. But if I had not made it, it wouldn't have diminished anything that I accomplished, because the things that I accomplished, I worked hard at them. I know that each and every day out there, I gave my best and I did my best and if it wasn't meant to be, it wasn't meant to be. Shawn Stevenson: Yeah, that's powerful. So this attitude and approach of just staying ready, and you doing that work, and taking ground balls every day, I think it led to a level of comfortability out there, and the plays that you would do, just some of the- like the behind the bag, the grabs, it’s crazy. I was just- I kept myself in a position. I just wanted to be in a position to be able to make a play. Ozzie Smith: And it’s part of the thought process that goes into it, you know? Every day out there, it's not just standing out there and being blank, but it's because all of the ground balls and things that I took. All of the things that I stored in my subconscious, and when you play a sport for a certain amount of time, then there's just certain things that you that you learn; patterns or where are people going to have a tendency to hit the ball. Now a lot has to do with pitching as well. Whether or not you're a pitcher can pitch to a scouting report. We all get scouting report, but if you’ve got a young guy on the mound who can't throw the ball where the ball's supposed to be thrown, then my job becomes a little bit tougher because now I've got- my job is covering mistakes. Yeah, I’ve got to make the routine play, but it's really about covering the mistakes that they make. And if the ball- we asked for the ball inside and you throw the ball outside and he hits the ball up the middle where I'm thinking that he's going to pull the ball, then I've got to be able to still cover. I probably myself and still being able to cover enough ground to be able to still make a play when I wasn't in the right position. Shawn Stevenson: Yeah. You know, I'm a very analytical person by nature I believe, and so even words like intuition, like I still need some tangibility to it. And so when you said pattern, it just jumped right out to me that the best definition that I've come across that I kind of abide by of intuition is advanced pattern recognition, and being able to see things even subconsciously that is going on around you because of putting yourself in position so many times and you just start to pick it up as an advanced pattern recognition. You don't ever want to be in that position. If somebody threw a ball to me right now because of what I did, you know, there are certain reactions that are things that are going to occur, you know? And so I always wanted to be in a position where I was ready to make a play, whatever, and we'll probably talk about this. That happened to me one day in San Diego on a Thursday afternoon on a ground ball that went up the middle, and this was really the play that put me on the map, and it wasn't until the next day that I realized I didn't even realize what I did. Randy Jones is pitching, we're playing the Atlanta Braves, Jeff Burrows, up hitting. There’s a ball hit up the middle, bullet, boom, the ball's hit, I go. And anytime I had to go left or right fifteen, twenty feet, first thing that came to mind was dive. It was just an innate ability that I had, not something I practiced. But I dive, and on this particular play when I dove, the ball was about here, and it hit, and it goes back this way. So now I'm parallel to the ground and my body's going this way and the only way for me to get it is to reach back, reach back with my bare hand as I'm going- as my glove hand is going in this direction. Shawn Stevenson: So it took a strange hop. Ozzie Smith: It hit the dirt and took a bad hop, and so for some reason the ball stuck in my hand. I was able to scramble on my feet and throw the guy out at first. Shawn Stevenson: Bare hand, that’s crazy. Ozzie Smith: And it wasn't until the next day that I'm listening to the radio in the morning, because you know, at that time just being a rookie, I hadn't got my place, and my television, and all that stuff. And I'm saying, “Well you know, this guy has been around the game alone a long time.” And I've seen a lot of baseball because I grew up in Los Angeles going out to Dodger Stadium. I used to catch the bus out to Dodger Stadium to watch the Dodgers play and stuff. So I’d seen a lot of baseball, but when that statement was made, it really, really kind of resonated with me that I'd done something special. Shawn Stevenson: Oh, for sure man. I'm just- I'm in awe of it right now. It's really powerful. So, you know, one of the things that you- and I just dove into your world in a couple of weeks as well. You were known of course for the phenomenal deep defense, but you deeply wanted to be a better offensive player as well. And so making that transition from San Diego, I think it was Whitey Herzog who was the manager, who was kind of instrumental in getting you over here and you really wanted to improve offensively. So what was the catalyst for that?? Ozzie Smith: Well let me say this here. You know, our generation, unlike this generation, our goal was to be well-rounded. We didn't want to be one-dimensional players. The goal was to be as well-rounded as you could be. I wanted to be as good an offensive player as I was a defensive player. If you talked to Tony Gwynn, Tony Gwynn was a great hitter, but the one thing that Tony Gwynn wanted, he wanted to win a Gold Glove, and I was the same way, you know? Cal Ripken, same way. It was the way we were taught, the way we were brought up, you know? Baseball is not a one-dimensional sport, which it has become, that's where the game has changed. Guys are- they're now to hit the ball out of the ballpark and they've lost the finer points of the game, you know? There's something special about being able to lay down a bunt and beat it out, or the squeeze play, which is making the routine play. Simply making the routine play. You know, those things have gotten away. You know, one of the most exciting times for us used to be taking in infield, and that was like warming up just before the game started. An outfielder like Dave Winfield going out and showing people, showing off his arm. Or Ellis Valentine, Andre Dawson before a game started. It's that part of the game that is lost now. You know, because guys don't take infield anymore because all they want to do is hit. And that's what's sad about the whole thing, but you were asking about the generation of what made us want to be the best that we could be. It was just the way we were brought up. All of us, the generation of us, and it was just we didn't know any different. We went out there every day working hard to be the very best that we could be defensively and the very best that we could be offensively. Shawn Stevenson: That wasn't very popular. Ozzie Smith: No, it wasn't. No, it wasn't, because as a shortstop, you wanted to be flexible and you didn’t want to be too tight, but I wanted to be stronger. And so in 1985- and I think this is where we were going. In 1985, I had a chance to meet a guy by the of Mackie Shilstone, who took Michael Spinks from a light-heavy to a heavyweight. And it was at that point that things kind of changed for me in 1985. My greatest accomplishment in the game today has been playing with a rotator cuff, a torn rotator cuff from 1985 to 1996. And I didn't get the rotator cuff worked on until after I retired because it was starting to affect my golf game. Talk about priorities. But I'm Mackie- when I met Mackie, I told Mackie that what I wanted, I wanted to prolong my career. I wanted to be able to play beyond forty because forty was the number, you know? I said, “Forty, that's nothing.” So we started working and we started working on protecting the area around the rotator cuff, doing all of the armband exercises, the internal, external, the sword in, sword out. I know all of these exercises now because it's those little muscles around the area, and I don't know if people- if you've ever had a rotator cuff tear or strain or whatever. That little muscle does so much for everything that you do in your life; opening the car door, turning the radio dial, you name it. And so what I had to do is I had to work from below the shoulder. But what happens when you lose one instinct, another one takes over. So I was already pretty quick and accurate and it just enhanced that even more. But from ‘85 to ‘96 I was still able to win Gold Gloves, not being able to get up on top. So I say to guys, it's easy to play when you're healthy. It's easy to play when you're healthy. It's show me that guy who can go out there and still get it done when he's ailing every day. If you show me a player that goes to a coach and says, “Coach, I'm 100%,” I'm going to show you somebody who's not giving 100 because if you're giving 100 everyday, there's no way that you go out there and you don't have some type of ache or pain be it your knee or foot. Something has to be aching. So the guys that excel at it and become great, or that are out there every day. And I know that winning is much more than getting a big hit or making a great play. Winning is being able to help my team psychologically. My being there at 80%. sometimes for the team is going to be better than somebody else at 100 psychologically. And so I tell young people all the time that, you know, when you're one of the people that the team depends on, you’ve got to show up, man. When a guy would say to me, “Well I ain't going to hit it to you today,” I got him. I got him. Ozzie Smith: Before it starts, and that's the type of is that you're looking for. Shawn Stevenson: Wow. This is super fascinating stuff. And again, just want to reiterate, you won Gold Gloves after this injury; several of them. Shawn Stevenson: And you know, for folks wondering like, “Why didn't he get some kind of surgery?” This was at a time where surgery could potentially be the end of your career. Ozzie Smith: That’s exactly right. 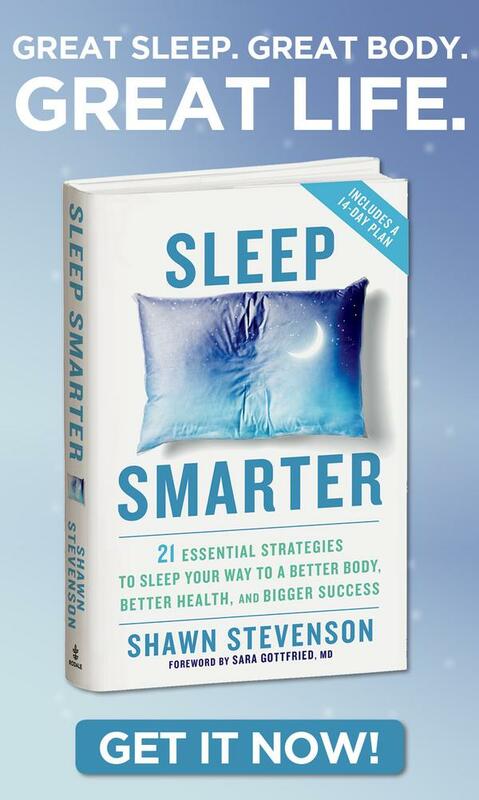 Shawn Stevenson: You know? You found a way. You figured it out. Ozzie Smith: I have seen it, man. And I've seen some of the scars of guys who had had rotator cuff surgery and this was before they were really, really good at scoping and all of that stuff. So I was a little afraid of it, and I had a trainer in college that had worked with some pitchers, you know, with the surgical tubing and stuff, so I knew about that. And I always wondered why they were using it. but then you know, it became rather apparent that I was one of those people that had to use it as well, and it strengthens all those muscles around the area. I was able to do that, and as time went on, you know, it just got to a point to where I knew that I wasn't going to be able to operate from up here. So everything was done down here and I just made the adjustment. Shawn Stevenson: So what we're going to do, we're going to talk about another iconic moment with Ozzie Smith here. And I hope you're enjoying this as much as I am. So sit tight, we're going to take a quick break and we'll be right back. 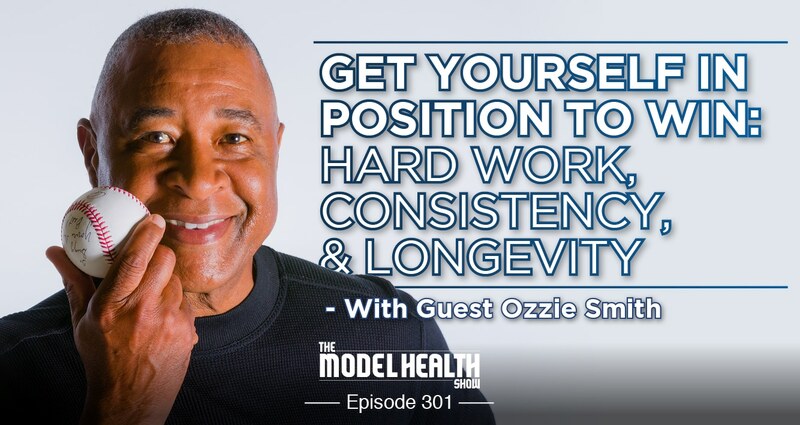 Alright, we are back and we're talking with the legendary Hall of Fame shortstop - icon alert - Ozzie Smith here on The Model Health Show. And before the break we were talking a little bit about adjustment. We were talking a little bit about showing up despite the circumstances. And also I'd asked Ozzie a little bit about him having the audacity to want to be great all-around player, not just defensively. And I think one of the most iconic moments in all of sports was 1985 National League Championship Dodgers, ninth inning. Can you talk about what happened? Ozzie Smith: That was- I think it was at that point that people started looking at me as much more than just a defensive player. It was at that point that they realized that hey, I wasn't that one-dimensional player. Now my defense- my defensive prowess was the thing that allowed me to get to the big leagues and stay at the big league, and that was the thing that they talked about, and probably the thing that ultimately got me into the Hall of Fame. But there were- the other parts of the game were very, very important to me. You know, I stole 580 bases I think, and I had my share of triples and doubles and all of that. And all of that plays into the success of an organization. You know, somebody has to do the little stuff, you know, to give the big guy the chance to do his thing. And we had a lot of teams like that here in the eighties where we weren't big boppers. We were guys that had to do the fundamental things every day. And to this day I tell people, analytics and stuff are great and they run by- the games are run by analytics now, but I believe, always have and always will, that if I catch the ball better, I throw it better, I run better, hit more timely, I'm going to win more games. Ozzie Smith: And that's the bottom line. That part of the game is never going to change. That's never going to change. So to be able to do those little things day in and day out are what I think that over the long haul, is what makes great organizations. It’s what has made the St. Louis Cardinals the organization that it has been for as long that it’s been, and that's the thing that's eventually going to get it back. They’re working hard to try and get back to those fundamental things because I think they, as an organization, got caught up in the way that other people start drafting. You know? You start drafting one-dimensional players. If you draft one-dimensional players, guess what? You're going to get a one-dimensional player. And so I think the goal as an organization, our goal has always been, we've always had guys who were well-rounded. Shawn Stevenson: Yeah, it's true. We love that here in the city. Ozzie Smith: You love it here in the city. It's what made baseball so exciting here in the eighties because speed kills, you know? Well, when you got a guy standing out there saying, “Please don't hit it to me,” you need to hit it to him. Ozzie Smith: But if you're striking out, you're not putting any pressure on him. And so it's okay to strike out 150 times a year. That's crazy. You don't put any pressure on the defense by striking out. So as we were taught when we were young, you get two strikes on you, you choke up on the bat, and you put the ball in play. You know, I do a show here called The Insider and I was talking to a player one day and I said- you know, we talked about his spring training about choking up with two strikes on him and putting it in play. He says, “Well, I don't really feel- you know, I don't, I don't like choking up with two strikes on me because I still want to do damage. Shawn Stevenson: Got the logic. I can't go up there thinking, “Well, I'm still going to take my big swing.” That guy out there on the mound, he wants you to take the big swing because a guy with a big swing has more holes. He's going to have more trouble with a guy who's a contact hitter as opposed to a guy who's got the big swing. If I'm a pitcher and I can pitch to a scouting report, and I can make the ball move a little bit, I'd love pitching to the guy with the big swing. I just can't make a mistake. Shawn Stevenson: And that's life, too. Shawn Stevenson: Just being able to have all those different places that you can hit the- because life is going to throw you some crazy pitches. Ozzie Smith: You're going to get some crazy pitches. That's right. Shawn Stevenson: Wow, that's powerful. So, I remember they flashed up on the screen- you're a switch hitter, by the way. Shawn Stevenson: So they flashed up, you're batting left for this and they flashed up on the screen, I think it was like 3,000 at bats. Ozzie Smith: 2,900 and something at bat. Shawn Stevenson: At bats without a home run from the left side. Ozzie Smith: And keep in mind, Shawn, here again, I wasn't trying to hit a homerun. Now in ‘85, as I told you, I started working with Mackie Shilstone, and one of the things that Mackie Shilstone taught me as he teaches all people that he worked with, he incorporates nutrition with weightlifting, which is one of the things that I had not done. And this is a thing that he taught me and it's not- it wasn't just for sport, it was for life. It’s things that I take with me now. And he works with a Serena now, but he's worked with a lot of the greats and that was the magic of him. If he walked in this room right now with five guys, you probably wouldn't even know who Mackie Shilstone is. But he was very special in the things that he knew and the things that he understood about nutrition and weight lifting and I gave him credit for prolonging my career. I was able to play until I was forty-one, probably could have played until I was forty-five, but just wasn't given the opportunity. But it's those types of things that you’ve got to seek out and those types of people out there that if you're interested in getting yourself better and being the best that you can be, then you’ve got to work with the best. You've got to find the best. And Mackie certainly is one of those people. Shawn Stevenson: Definitely. So if you could just for one minute take us back. You're in, you're on the left side of the plate. Shawn Stevenson: And tell us what happened. Ozzie Smith: Well, the Dodgers had always pitched me hard- hard in soft away, and you do that- you get the guy looking in, looking for something hard in, and then you throw it soft away I had to reach. It's throwing off your timing. So in this particular at bat, he had thrown two fast balls that I swung and filed them straight back, and when you're sitting watching a ballgame, when a guy's throwing fast balls and the guy’s following them straight back, you better be careful because he's zoning in, you know? He has a pretty good idea of where the ball is. And in this instance he tried to get the ball in and he left it out over the plate. And unlike now, back in the day, they said that you did not want to throw a left hander down in end because all you had to do is really drop the hit, and as you see that pitch, the pitch is down and in. He didn't get it up and in, he got it down and in. So now because I had gotten a little bit stronger, I was driving the ball a little bit more I was- I'd learned how to pull the ball down the line or hit the ball in the gap, it really was just I supplied the technique and he supplied the power and magic happened. And I've heard that so much, it's as if I hit 500 homeruns. But I was just at the right place, right time. There are certain things that are just meant to be, manifest destiny, I guess you'd call it. When I got up that morning, I had no idea that the day would end the way it ended. It wasn't my goal. My goal was to do whatever I had to do to help my team win that day. And it just so happened that particular day, the opportunity presented itself and I was ready for it. Ozzie Smith: And then fast forward, we go to Dodger Stadium for game six. Lo and behold, [Inaudible 00:56:33] was on the mound again. I come within inches of hitting another homerun in Dodger Stadium off the same guy, you know? So that was- it was magical. It was at that point that people started looking at me as much more than just a defensive player and I think I had accomplished my goal. Shawn Stevenson: Definitely. Definitely. Wow. Such a great story and you know, just me growing up in St. Louis and you know, that's how I saw you, you know? Ozzie Smith: And we created excitement when we were on the bases, you know? Ozzie Smith: You know, I think for people that grew up in the eighties and watched what we did, it was such a magical time and we were doing it so we didn't really realize the impact that we were having. I guess we did understand the impact, but we were just doing our job and creating that excitement for people that came out to watch us play. And as we sit down and talk about it now, you know, we look at baseball today and baseball the way it was, and just two different worlds. Shawn Stevenson: Yeah. You know, if anybody has a lack of knowledge, I'm pretty sure most people listening to this episode or watching us on YouTube, or wherever you're watching this, know about the Wizard of Oz. But for those folks who might not know when you retired, you know, that final season, they were having celebrations for you at opponent stadiums all across the country. It was the most beautiful thing, that acknowledgement of greatness. Ozzie Smith: Shawn, I tell you, not many guys get to take what they call a tour. Not many players get to do that, and to have been one of those players that got a chance to tour. And you know, there are some guys that played twenty, twenty-five years. They don't get the tour. You know, I was able to play nineteen years and I was able to get the tour and have- go around and have people show their appreciation. I was one of the only guys. In my last All Star game in 1996, you know, they talk about the fans and stuff in Philadelphia. They’d boo Santa Clause, you know? They’d boo their mother. But those people were very, very gracious to me and I always got ovations in most of the places that I played because what I tried to do was have fun with the fans. And the way that you develop a relationship with fans is you do your job. If you do your job every day, whether they want to acknowledge it or not, they appreciate people doing what it is they do. That's why people don't like the Yankees because they do their job, because they- it’s respect, man. That's really what it boils down to. And I've always wanted to be respected for what I bring every day. I wasn't the greatest, I wasn't the fastest, but I worked hard and I gave- I think I gave people their money's worth whether they were for the Cardinals or for the Atlanta Braves or whoever. I always have people now, and I guess it's the compliment. It's a compliment now that when they come up to me and they say, “You know what? I enjoyed the way you played the game.” And that's the ultimate. Doesn't get any better than that. Shawn Stevenson: Yeah, definitely. Definitely. One of the things I want to ask you about during your career, you also won the Roberto Clemente Award for the player who best exemplifies the game of baseball, sportsmanship, community involvement, and giving back. Can you talk about for yourself personally what motivated you to get involved with the community? You shared some things that you're doing even now with me before the show. Ozzie Smith: Yeah. Well, here again, I think all of us, when we think about community and stuff, I want to be able to go out in the evening and walk with the family, you know? Being able to walk without having to worry about whether or not, you know, there’s going to be a shooting or all of this stuff that we have to deal with now. You know? I want to be proud of the community in which I live, and if I'm going to be proud of the community in which I live, then I've got to get my hands dirty in trying to help make it the best place that it can be. Coming here in 1982 changed my life, my family's life, because it gave me the opportunity to raise my family here. People had- they welcomed us with open arms. It's just been a great community to be a part of. And so if it's going to continue to be that, then I've got to invest in it. And so I've always believed that it's not just about saying, it's about doing. You’ve got to do something that's going to make it better. And so I'm the President of the Gateway Chapter, the PGA here. When I was growing up in southern California, I was never exposed to the game of golf or the business of golf. So it's taking my celebrity and moving it into the private sector, and bringing about awareness on certain causes and things. I think that that's very important. That's how you stay relevant. You know? You lend your name to certain causes. I can't do everything, but for the things that I can, I can lend my name to certain causes, and I'm the President of the Gateway Chapter, the PGA here whereby we’re in the process of building a nine hole multi-recreational golf facility in the inner city by which we can introduce kids to the game of golf, the business of golf. We even talked about culinary, all of this being under one roof and stuff, and give kids something other than worrying about, you know, whether or not I can go down to the playground and play because of all the craziness that's going on. So, that's my spiel, man. And you know, I know that I've got- you know, if I wanted to be better, I’ve got to do something. Shawn Stevenson: Yeah, man, that's powerful. That's powerful. You know, I grew up in some pretty negative conditions, you know, here in the city, and just being able to have an outlet, have inspiration, that proximity matters a lot. Shawn Stevenson: And I- of course, you know, there's recreation centers, various places and they've always been kind of like a positive input. And so having the audacity to do that, to get your hands dirty, like you said, and to give back that way, it really means a lot. Ozzie Smith: Yeah. I just think giving back is the greatest asset in the world. You know, you can have all the trophies and all that stuff on the mantle, but the ability to give back is the greatest asset you can have. Shawn Stevenson: Yeah. Ozzie, got one more question for you. And this has just been phenomenal, you know, just enjoy your presence, the stories are incredible in and of themselves, but also the thought process behind a lot of this, and for you to share that with everybody, and then getting to hear the psychology of somebody who's achieved so much is really powerful. So thank you for that. Final question is what is the model that you're here to set for other people with the way you live your life personally? Ozzie Smith: Well, you know Shawn, I think we've kind of touched on it, you know? In life it's all about trying to do the right thing. I think if you’re trying to do the right thing, things usually turn out pretty well. I’m not saying I'm perfect. You know, I'm not a perfect person, but I've always tried to do the right things. I've always tried to make people feel a part. Well, you know, there's only so many hours in a day and I try and sign as many autographs and stuff as I can. You know, but I just want people to know that or say that that was a good guy who had a good heart, who was very giving and I like him. Shawn Stevenson: Perfect. Ozzie Smith, everybody. Thank you so much. Listen, I'm telling you right now, it's so important to be around people who uplift you and it's so important to be around individuals who give you a perspective that's greater than where you are right now. And for me, growing up as a kid here in St. Louis, I had very few heroes. One of them was Michael Jackson, alright? “You know it?” That was Ozzie, that wasn't me. So that was one. And I remember going to school with that jacket, you know? I had the Thriller jacket I got drove, but I represented. And the other person here in our city, and having that example, was Ozzie Smith for sure. And so it's a great pleasure to have him on the show today, and so many great takeaways. One of them when he talked about not always going for the big swing, but you know, to choke up having that small, consistent swing at life. That's really what creates greatness. It's not the big swings. Every now and then you do take your big swing, but that's not what's going to create greatness. That's going to take great momentary examples or experiences, but it won't result in greatness and you really up-leveling your life to the place that you deserve to be. Small, consistent swings. Just keep batting away. Also have the audacity and the approach to making your life better than it was yesterday, alright? So he talked about making this year better than last year. Alright? You could even approach it from that. And I think that's even more valuable for a lot of people because in the short term of a year, we're going to make mistakes. Things are going to go bad, stuff's going to happen, so just looking at it like, “Am I better this year than last year?” Right? And continuing to make that your modus operandi as you continue to move forward. And for me personally, I do it day by day. Each day I just want to get 1% better, whether it's with my health, whether it's in my relationship, whether it's in my knowledge base, just striving to wake up, going to get a little bit better today. And when I lay my head down at night, I feel successful. Again, so many other things, but I think that when he talked about this, and he said this several times, being ready, right? The window of opportunity is going to open at some point, and just being ready for that opportunity. You’ve got to stay ready, alright? That's what this training is about. That's what absorbing information like this and this podcast is about. That's what reading the books, that's what you working on your craft, that's what you're working on your relationships, whatever it might be. You're staying ready for when the window opens because it will open and you want to be ready for that. So I hope that this encourages you to continue to stay ready so you don't have to get ready, and I appreciate you so much for tuning into the show today. Make sure to share this out with your friends and family on social media, Instagram, Twitter, Facebook, all that good stuff and we'll link up anything with Ozzie. Ozzie, are you on any social media? Ozzie Smith: Well, a little bit. Not much. I'm not a real big social media guy, but Twitter. You can go to www.OzzieSmith.com and Twitter. I don't tweet a lot. 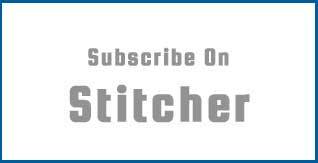 Shawn Stevenson: Well we're going to link him up, and you could tag him in this episode, let him know what you thought about the show, so we'll put all the links to connect with Ozzie online for the little bit that he is online. Because he's not like my son with the tablet ordering stuff- ordering toys from Amazon, alright? So again, thank you so much for tuning into this show today. I appreciate you immensely. We've got some incredible show topics and more incredible guests coming up, but none greater than today with the Wizard of Oz.